The Proust Questionnaire, popularized by the French essayist and novelist Marcel Proust, is said to reveal a person’s true nature through a series of probing (aka nosy) questions. 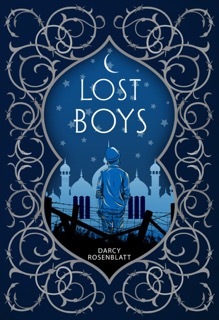 It the hot seat today, Darcey Rosenblatt, author of the MG historical debut, LOST BOYS (Henry Holt, 2017). What is your idea of perfect happiness? I’m pretty happy every day, but a perfect happy day would be split between reading, writing, and doing some kind of art project. What is your greatest fear? Losing the people I love. Oh, and very high places. I don’t like very high places! What is the trait you most deplore in yourself? I can get sort of bossy in an unattractive way. What is the trait you most deplore in others? People who talk about themselves and don’t listen. Which living person do you most admire? There are people I know in my private life, but of the people that might be more known I think I’d say Lin Oliver of SCBWI. She is smart, funny, shrewd, and generous of spirit. What is your greatest extravagance? I made my laundry room into an art studio. What is your current state of mind? Troubled in a global sense; concerned about problems of racial and economic inequality and our environmental future. Personally, I’m full of gratitude and excited about the future. It’s a strange place of juxtaposition. What do you consider the most overrated virtue? That’s a hard one too. How about modesty? HaHaHa. On what occasion do you lie? When I’m trying not to hurt people’s feelings, and the consequences of doing so are low. Which words or phrases do you most overuse? “Lovely” – even though it is a lovely word. Also: “That makes sense,” even though that’s a good one too. Besides writing, which talent would you most like to have? I wish I could surf. If you were to die and come back as a person or a thing, what would it be? Well, I’d like to come back as a dolphin. Is that a person or thing? What is your most treasured possession? I have a 110-gallon salt-water fish tank that is some work, but makes me happy. What do you regard as the lowest depth of misery? A life without interesting stories. I love hearing stories, reading stories, watching stories. Life would be bleak without them. What do you most value in your friends? Humor and empathy. Who are your favorite writers? Oh please, such hard questions! Lani Taylor, Gary Schmidt, Ann Patchet, David Almond, Joss Whedon, Jandy Nelson… I could go on and on! Who is your hero of fiction? Malcolm Reynolds of Firefly. Which historical figure do you most identify with? The late artist, Niki de Saint Phalle. What is your motto? It’s all good – until it’s not. DARCEY ROSENBLATT writes for middle-grade and teenage people because she believes for them stories can be life changing (they were for her). Her debut novel, Lost Boys (Henry Holt for Young Readers), was released in August 2017. 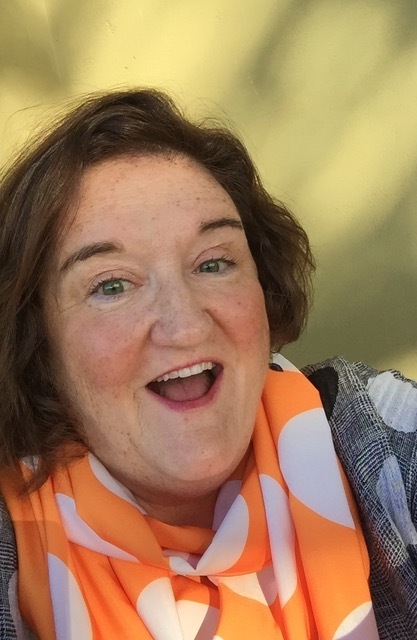 Darcey is a cofounder of the annual Better Books Workshop for middle-grade and young-adult writers. She lives in the San Francisco Bay Area with her fabulous husband and daughter, some fish, and the best dog in the world. Find Darcey on her website and Twitter. I agree with Darcey’s lowest depth of misery. The interview reminded me I need to get LOST BOYS off my TBR pile. It sounds like a gripping story. Thanks for the fun interview. Yes, this is a book you need to read, Greg. It was truly wonderful. These are wonderful answers to some pretty hard questions! I’m looking up LOST BOYS now! These interviews are great! So glad you enjoyed Darcey’s interview. And I can definitely recommend LOST BOYS. It was fabulous. Exactly! Thanks for reading Darcey’s interview!